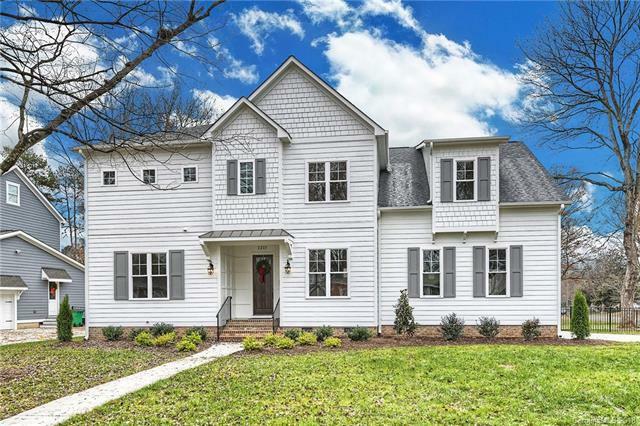 Exquisite custom home in Sedgefield from The Cloninger Group! High ceilings (10' on main & 9' up) & heavy mouldings on both floors, hdwd floors & 8' two-panel doors throughout 1st floor. DR has accent color and floor-to-ceiling picture-frame moulding. Gourmet KT with Calcutta quartz counters, farm sink, SS KitchenAide appliances (including a French door refrigerator) , expansive island, 42" white cabinetry & subway tile backsplash. Conversing with company while cooking will be a breeze, as the KT is open to the BK area and GR. The GR is complete with built-in bookcases that frame a beautiful gas fireplace. Spacious guest suite on main level has it's own private bath - furniture-grade vanity and frame-less glass shower. Upstairs, the MBR will blow you away - it's enormous, has hdwds and is finished with wainscotting. Spa-like master bath! To get to the his-n-her WIC's, you'll need to go through your dressing room (or an office for the work-oholic?). Schedule your appointment today!